This new amazing video slot is powered by the NextGen Gaming. This slot game is based on cartoon theme and its design is very much similar to the classic DC comic books. Batman slots is built with 5 reels and 50 active fixed paylines. The beautiful Gotham city is well portrayed against the backdrop of the reels. While playing this slot, the players should always be ready to run behind the Great Caped Crusader, who is going for a battle against the mysterious Joker and his minions. 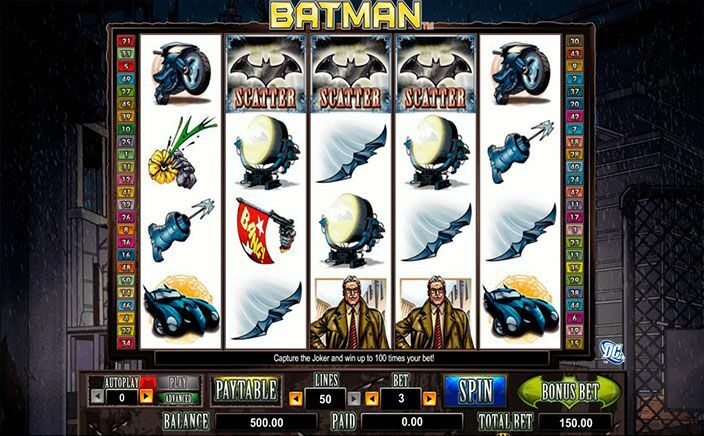 The symbols of this slot game are very beautifully crafted and can be recognised as- joker cards, fake guns, Commissioner Gordon, Batarangs, Spotlights, the bat bike, the Batmobile, joke flowers, Joker and bat weapons. The most rewarding symbol is the joker icon and it will reward a 100x multiplier if it lands on the reels. This slot game has a unique combo of high-definition graphics and an electrifying soundtrack which has done a fair play to the theme. Players can play this slot with a maximum and minimum bet of £120.00 and £0.50 respectively. The players can squeeze a maximum jackpot of 5000 coins. The wild symbol is an eponymous hero. This wild symbol gets stacked on a reel and will turn the whole reel wild. 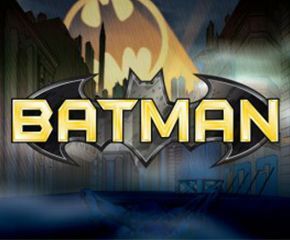 Moreover, Batman icon is the scatter symbol of this slot game. The players can activate the Bonus Bet feature by pressing bonus bet button that is located on right side of the screen. This feature provides the players with ten coins. Also, the players will be granted the descend Into Madness feature and extra wild symbols on reels 2, 3 and 4. The Re-Spin feature is activated when the players land icon of Bat on reel 1 and symbol of Commissioner Gordon on the reel five or vice-versa. After which, 3 re-spins will be awarded and players can earn a reasonable amount by using them. This feature gets triggered only when the feature of Bonus Bet gets triggered and 3 or more of Scatter symbols occur from left to the right. After which, the players will enter the mini game where Batman will try to bang the asylum inmates by using his batarang – if Batman hits them, then players will be awarded some huge prizes. Batman slots is one of the most entertaining slot games developed by NextGen Gaming. This game has a moderate to high variance and one can earn a hefty amount by playing it sensibly. This game has the return to player percentage of 93% which means this slot is worthy to check out.